I recently served this delicious dessert during Superbowl Sunday. Since we were having Mexican food, with Mexican rice, re-fried beans, carne asada, and other trimmings, I thought I'd take it to the end zone with churros. However, I did it with a slight twist. 1. In a medium sized bowl, dissolve the cocoa powder in about 2 tablespoons hot water. Whisk it until completely dissolved. 2. In a small saucepan, heat up the cream and add the chocolate mixture. Add sugar to taste. Bring to a slow boil over low heat until it thickens to a good dipping consistency. 3. Heat up churros according to package directions, dip in chocolate and enjoy. Dissolve the cocoa powder in 2 tablespoons hot water. 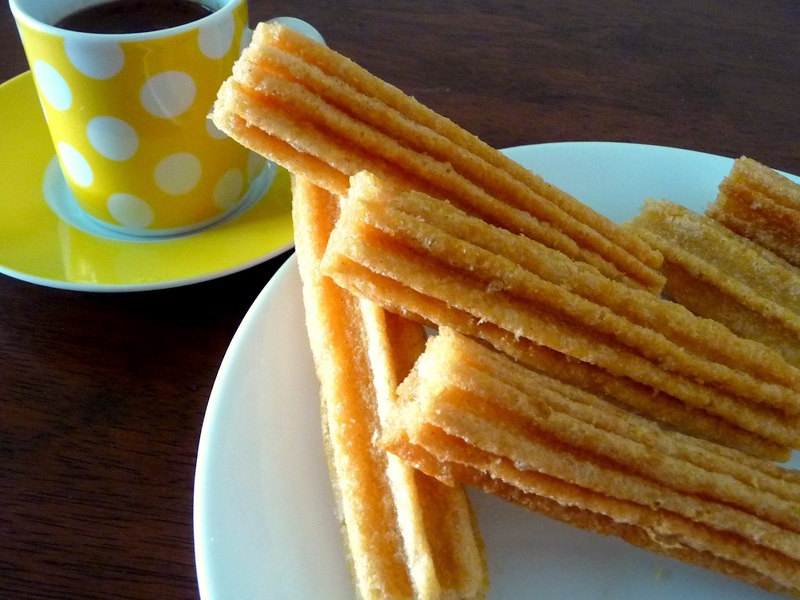 Dunk your churro in this thick and rich hot chocolate, and enjoy!